NOTE: This review was originally set to be a video review. However, due to technical issues, I was unable to finish the video itself. However, I didn't want to leave you guys hanging, so here's the review in written form! Enjoy! When you talk about supernatural elements in media there’s two genres you see it in the most: action and mystery. More often, now a days, supernatural is lumped in with action series in order to show the badassery of supernatural beings or gifted individuals. Comic books are largely the reason for this as XMen and other parts of both the Marvel and DC universes share supernatural beings or elements. In anime, you may see this in series like Hellsing and Baccano. Mystery is the other genre that commonly uses supernatural elements. The TV series Supernatural is a western example here, while in anime I would say Shiki is a great example. But there is one other genre that supernatural elements seem to be rather popular in, the romance genre. Why didn’t you make it three rather than two, Lilac? That makes no sense. It’s because more often than not, the romance genre doesn’t really give good results when they use supernatural elements. Sure, they have their fan bases like Twilight, Teen Wolf, and anime like Diabolik Lovers but it just barely manages to tell a story and a good one at that. 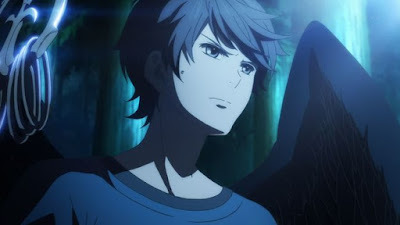 What Japan loves to do with their supernatural series is add a spiritual element to them, something that action series like Noragami does really well with as well romance series like Red Data Girl. Red Data Girl is an original 12 episode Fantasy/Romance series based on the novel series written by Noriko Ogiwara and published by Kadokawa Shoten from 2008 to 2012. A manga series written by Ogiwara ran from 2012 to 2014. 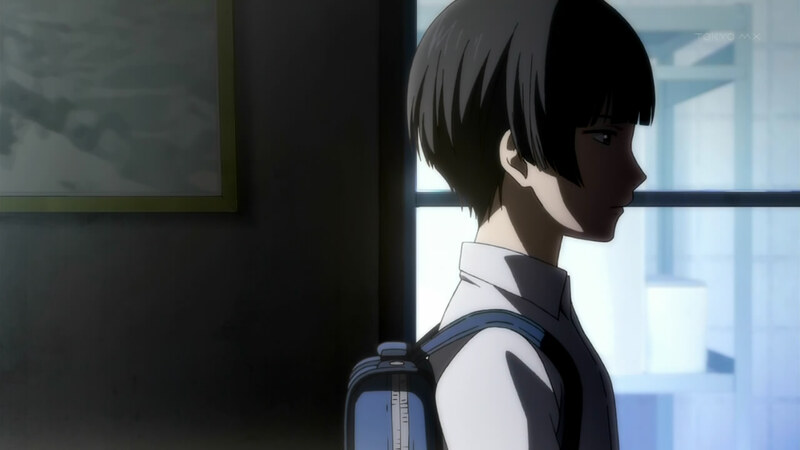 The anime series from director Toshiya Shinohara and studio P.A. Works aired during the spring 2013 season. 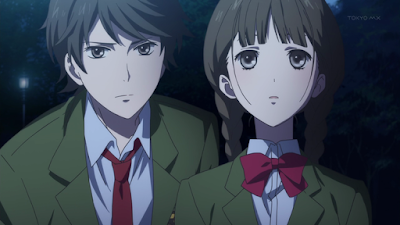 As of this review, the series has been licensed in North America by FUNimation Entertainment and Australia by Hanabee, with Joel McDonald serving as the ADR Director for the english dub. Izumiko is a fifteen year old outcast who was raised in seclusion at an ancient shrine hidden deep within the forest. This mysterious teenager destroys any electrical device she attempts to use, and her painful shyness has left her with few, if any, friends. Her world begins to evolve after enrolling in Houjou Academy, a school home to students of supernatural origins. Accompanied by her fated guardian, the brooding monk in training Miyuki, Izumiko soon discovers the shocking truth about herself: she is a vessel for the spirit of a powerful and vengeful goddess from a time long since passed. 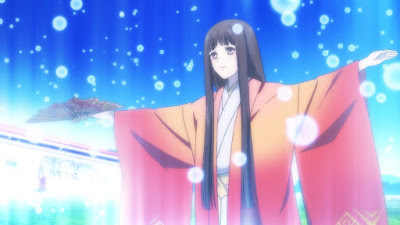 As her bond with Miyuki grows stronger, the spirit lurking within Izumiko begins to awaken. Can this fragile beauty learn to control her newfound power, or will the secret she carries make her the enemy of all mankind? with P.A. Works, they were founded in 2000 but didn’t start producing their own anime series until 2008’s True Tears. Though it wasn’t until the success of Angel Beats! in 2010 that they really started going places. If you look at their history and what they have made, you’ll notice there’s a certain animation and character design style that a lot of these series have like Another, Tari Tari, Nagi-Asu, Charlotte, and of course Red Data Girl. 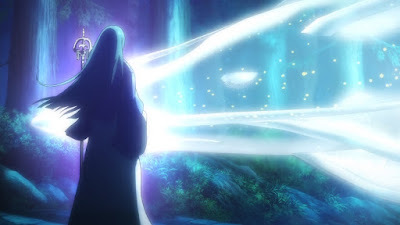 The show uses colorful backgrounds and scenes to make a visually stunning series, which isn’t anything new for PA Works. The attention to detail in those same backgrounds are what make it pop and rather pleasing to the viewer while the character designs are simple with a more shoujo style to them which is par for the course with romance anime series. The soundtrack also manages to compliment the series well with dozens of orchestral pieces that fit the tone the series was going towards as well as pieces that fit in more culturally for Japan. This can also be reflected in the opening and ending theme. Small WorlDrop by Annabel breathes true to the overall tone of the series while Masumi Itou’s Yokan is a beautiful song with ending visuals that give the series a little more of an artistic style to it. Theoretically, the series may be split into three arcs, each using an event or certain characters to delve into the story further. 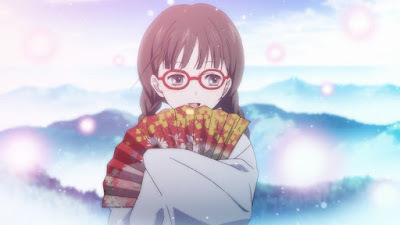 The first three episodes give such a wonderful introduction into not only the world of Red Data Girl, but asks the right questions that the viewer really wants the answers to such as Izumiko’s connections to the Hime-gami and how her relationship with Miyuki could play out in later episodes. Once the two enroll in high school, however, things get a little more complicated. There’s much more political pieces involved thanks to the battle between Mayura and Takiyanagi, but it also throws in the typical teen angst that some people may not enjoy. This isn’t to say the remaining nine episodes of the series are terrible, no. In fact it’s the relationships in the series that help make the stories more interesting such as the triplets Mayura, Manatsu, and Masumi as well as Masumi’s interactions with Izumiko in order to bring in different angles and complications. But the series also has the problem of leaving things unexplained or unfinished. In the beginning, we’re to believe that Izumiko and her connection to the Hime-gami are going to be a major plot point, but sadly it gets side lined for a majority of the series. The political battle I mentioned before between Mayura and Takiyanagi is another that felt unfinished. There are some silver linings, though, as stories centered around Miyuki and his lack of power do gain some ground by series end. But it can be a little too late since, by the end of the series, there’s no resolution what so ever to the Hime-gami storyline, but, instead, we’re left with this need for more story. It’s more accurate to say the Red Data Girl finishes it’s current arc but not it’s actual story, something that I blame the lack of material for if the studio was following the manga rather than the original novels, which would explain so much. Just like the story, there are three categories that the cast of characters would fall under. You have Izumiko and Miyuki as our two leads, followed by the triplets as major characters, and ending with the familiar Wamiya, Miyuki’s father Yukimasa, and school rival Takiyanagi as the more minor characters that still have some involvement. This is also where I would place the Hime-gami due to the lack of involvement she has with the story and it’s development. 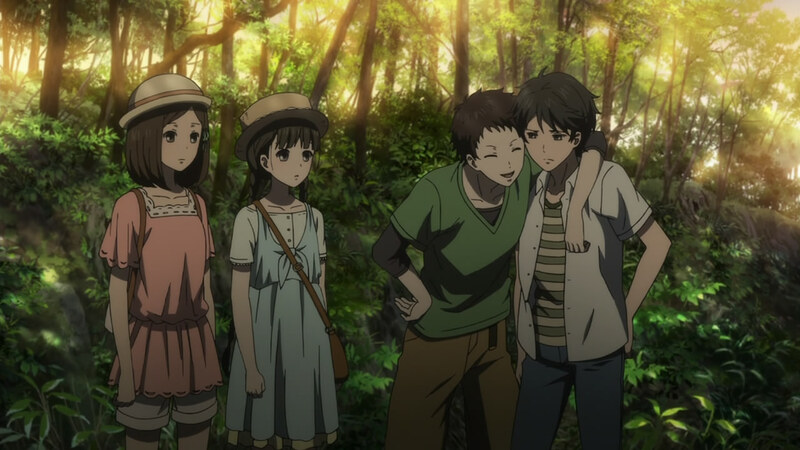 While the majority of the development does, of course, belong to Izumiko and Miyuki, there are still some characters that do go through some changes in the series, the triplets in particular being the largest of the larger characters. I mean, let’s be real here, the middle arc of the series has a huge emphasis on their relationship to each other and how it has been changing thanks to outside forces coming in such as Izumiko and Miyuki. 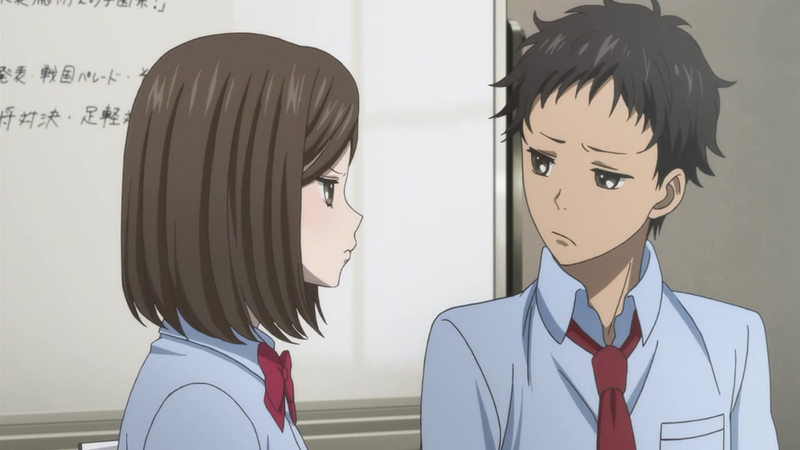 Now, because we’re still dealing with the typical high school anime, as mentioned, there is a good amount of teen angst and shenanigans that do tend to get in the way of the story’s progression. However the larger problem I have with the characters is the rather mixed motivation. While the motivations for some of the characters are logical and progress and change appropriately, they tend to change rather quickly or make little sense because of the lack of prior explanation. The former is more for Miyuki, which I can forgive a little bit. The latter more falls for the triplets, with Mayura being the largest offender. 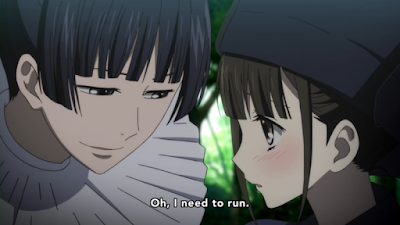 Her struggles against Takiyanagi and her reasoning for it just seemed to really miss it’s mark which doesn’t help since it is one of the larger plot lines of the entire series. Again, this is one of those cases where more episodes could fix this problem as it would have had more time in order to explain and properly develop the characters. As for the whole romance element the series claims to have, it’s kind of there. Kind of. Yes, Izumiko and Miyuki are seen as the major coupling for the series, but that relationship is slow going and ending on a rather high and rather natural note for the pair. The other potential love plot falls to Izumiko and Masumi which does come into play during the latter half of the series and in a rather big way. 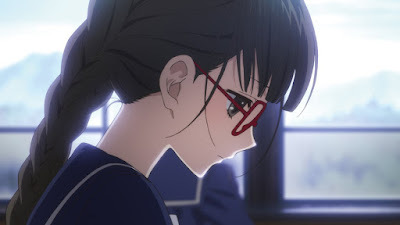 However, it seems the series would rather focus on political teen bull crap rather than developing the characters and their relationships to it’s fullest extent, since this is considered a romance anime. The dub is solid, which is par for the course with FUNimation now a days. However there wasn’t really anything or anyone who stood out and amazed me; sacrificing the quality of the dub in order to keep with the tone of the series. In that regard, the dub works and Joel McDonald (Assassination Classroom, Laughing Under the Clouds), the dub’s director did a good job. Micah Solusod’s (Soul Eater, Seraph of the End) Miyuki works for the personality of the character, Kristi Kang (Fairy Tail, Ultimate Otaku Teacher), Chris Burnett (Romeo X Juliet, Shiki), and Joel McDonald who voice the triplets are a good balance to each other, especially Burnett’s Masumi who mixes together playful with a bit of flamboyance to create one of the more fun performances of the dub. All the while, Kang’s Mayura did take some time to adjust to as it was a little annoying in the beginning. David Matranga’s (Code:Breaker, Le Chevalier D'Eon) Yukimasa seems a little out of place here, but his performance was fine none the less, while Ryan Reynolds’s (Heroic Legend of Arslan, Hetalia: Axis Powers) Wamiya did do well at being menacing and other worldly. Caitlin Glass (Ouran High School Host Club, Show By Rock!!) is, well, Caitlin Glass and does her best as the Hime-gami though the tone of voice is an odd fit for the tiny Izumiko even if it did give off a much more regal air. As for the voices of Izumiko and Takiyanagi, it’s best to say that this is one of the more early introductions to both Bryn Apprill and Clifford Chapin pre Attack on Titan DVD release. Chapin’s (Tokyo Ghoul, Yona of the Dawn) performance gave the vein Takiyanagi much more snark and such a conceited air about it that honestly worked for the character. Meanwhile, Apprill’s (Noragami, D-Frag) take on Izumiko kept the quiet innocence that the character called for, but may not have been her best work considering all the series that have been released since then including Show By Rock, Noragami, and, once again, Attack on Titan. However, it’s a great effort here. By the end of the possession, Red Data Girl is a stunning series that seems to lose it’s way the more it continues. While the story starts strong and the relationships and side stories between characters can bring interesting elements, by the end it doesn’t resolve itself to the point where it could have used either more episodes, a second season, or a rewrite in order to keep the strong start much more consistent throughout. I still believe this to be a good series, despite the glaring flaws and is one where a good amount of people may fall in love with it. It’s pretty to look at, at least, if nothing else. Next time, we cue the water works. Until next time, otaku on my friends! Final Rating - 6/10 a beautiful series that ends with some missed opportunities.